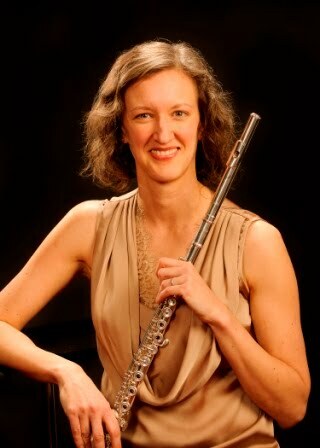 Nicole Riner, flutist: Keep track of your goals for better performances! Keep track of your goals for better performances! It's important all times of the year to continually reevaluate and remember what goals you are striving to accomplish; I am surprised by how often my students lose track of this precisely when they are getting close to performances. As we pass the midterm mark here at University of Wyoming, I encourage my students to resist the temptation to put the blinders on and just obsessively perform their jury and recital pieces for the rest of the term. Remember every exercise that helps you make those pieces sound great, and maintain your workout routine in the face of chaos to feel completely in control. This goes double for chamber groups, who can be slow to start and quick to fall into a slump as solo projects call. But if your required woodwind quintet has an end-of-semester performance, it's critical that you spend this time to build a strong sense of musical community and trust in each other. Here are a two of simple hand-outs you can copy many times and add to your flute notebook to help. Click on the icon for the .pdf.